We are honored to be featured in today's Midweek Publication's Central Oahu Voice! 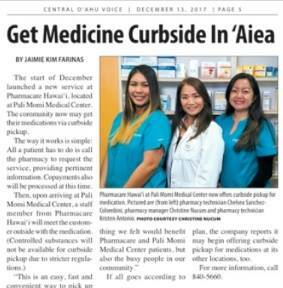 The story features our new curbside pickup service at Pharmacare Hawai`i, located at Pali Momi Medical Center, which makes picking up your meds quick, easy and convenient. Visit this link to read the full story.